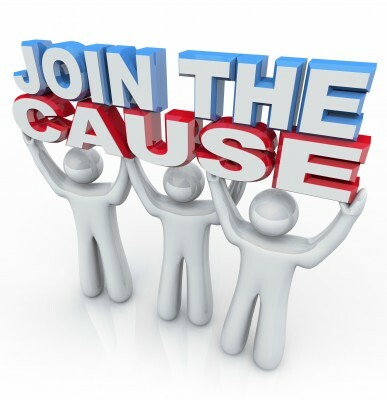 How do you engage others in your cause? I am reminded of the board of directors for a quite successful non-profit with whom I worked recently. They had a well-crafted strategic plan, including a vision and mission that was serving them well, even though they called me in to review it – to help them “bring it back to life”. When I asked the simple question, “Why do you exist?”, they were stunned. They realized quickly that they were ill-prepared to enlist others in their cause. I find that most people, and most organizations, have a pretty firm grasp of “What?” they do, and even “How?” they do it. Far too few know “Why?” they do. They fail to grasp, let alone articulate their purpose, their reason for existence, indeed, their CAUSE. As I work with individuals, teams and organizations, this reversal of interests is quite common, even epidemic. Too often we try to sell people on our cause without even engaging them in that cause; we start with our answer to the questions, in this order, “What do I/we do?“, then “How do I/we do it?“, then — maybe, if ever we get to it — “Why?“. Why do I want to get out of bed in the morning? What ideal or idea that may seem just beyond my grasp drives me to action? How will my life, and the world I live in, be different because I have the courage to take action on the thing that is most important to me now? Get me to listen and understand your CAUSE as you describe it in this way, and I’ll be interested in what you do and how you do it. Most importantly, I will know whether I want to support you or even engage in your cause with my discretionary behavior, time and money. WHY do I want WHAT I want? Don’t get it backwards – most do. This entry was posted in #therightquestions, Cause, Purpose, spread the word, strategic planning. Bookmark the permalink.